I Dream Of Wires chronicles the history, demise and resurgence of the modular synthesizer, featuring interviews with over 100 modular musicians, inventors and enthusiasts, including Trent Reznor (Nine Inch Nails), Gary Numan,Vince Clarke (Erasure), Morton Subotnick, Chris Carter (Throbbing Gristle), Daniel Miller, Carl Craig, Flood, Cevin Key (Skinny Puppy), James Holden, Factory Floor,Legowelt, Clark, John Foxx and Bernie Krause, as well as modular manufacturers Doepfer, Modcan, and Make Noise. 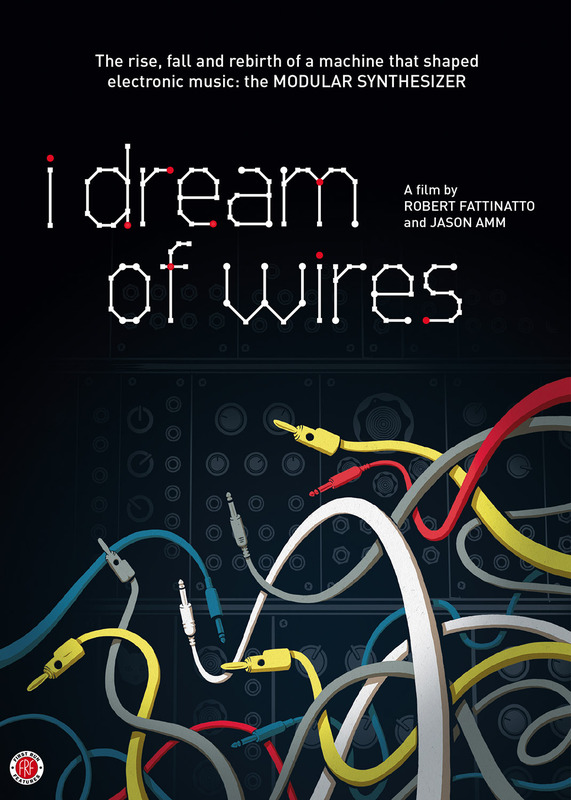 I Dream of Wires begins with an historical primer, exploring the early development of modular synthesizers from pioneering companies Moog Music Inc. and Buchla and Associates, right through to the near-extinction of these instruments, brought on by the introduction of portable, digital synthesizers in the ’80s. From there, the rebirth of the modular synthesizer is retraced, leading into the phenomenal resurgence of the modular synthesizer. Along the way is some in-depth exploration of the passions, obsessions and dreams of people who have dedicated part of their lives to this esoteric electronic music machine. What started out as a “vintage-revival scene” in the ’90s has grown into an underground phenomena with a growing market of modular obsessives craving ever more wild and innovative sounds and interfaces. Today, the modular synthesizer is no longer an esoteric curiosity or even a mere music instrument — it is an essential tool for radical new sounds and a bona fide subculture.